Seeing all of Mexico City (CDMX) in 3-days is akin to getting your mouth around an overstuffed taco. Eventually, the delicious salsa of art, architecture, history, culture and of course, food, will squeeze out the end, slide down your arm hopefully onto your plate, where it will have to wait for the next opportune mouthful. This guide to 3-days in Mexico City will help you cram as much of the sprawling metropolis into that folded tortilla as you can handle. For the first time visitor to Mexico City, it makes sense to start in the Historic District (Centro Historico in Spanish) and a walking tour is the perfect way to take in the history and architecture of the colonial capital. We took a two-hour wander with Estacion Mexico on a pay-as-you-wish tour. A walking tour is a great way to start your trip, giving you a brief history of the City, while simultaneously getting orientated with the streets and locations of things you will want to return to later on this trip or another. For example, you’ll get a brief glimpse into Museo Templo Mayor, a Mexica (Aztec) archaeological site in the middle of Centro Historico. Depending who you ask, Mexico City ranks first or second in the world of cities with the most museums. Either way, you won’t get to see them all, so just pick a couple. I suggest you at least visit the National Museum of Anthropology which documents the indigenous cultures of pre-Hispanic Mexico. I had no idea just how complex the history of this region was until I visited this Museum. The English translation is a little spotty, so I recommend hiring an audio guide to help you get the best out of the amazing exhibits. IMPORTANT NOTE: Museums in Mexico are closed on Mondays, and are generally free for Mexican citizens and residents on Sundays which makes them busier. Plan your itinerary accordingly. Chapultepec Park aka Bosque de Chapultepec (Chapultepec Forest) is 1695acres of public green space including a botanic garden and several museums. Start your morning in the park by heading straight to Chapultepec Castle, before it gets busy. The Castle is also home of the National History Museum. For more on this sight, visit Chapultepec Castle: A Mexico City Must-See. Exit the Park by the Monumento a Los Niños Heroes – which links back to the Castle. If you have additional time Chapultepec Park, you may also like to visit the Museum of Modern Art, Museo Tamayo (Contemporary Art), or Jardin Botanico (Botanic Garden). Get to a market, the more local the better. Markets are always hives of activity that tell you a lot about the local lifestyle and culture. We dropped into the Mercado de Coyoacán for lunch before our scheduled visit to Museo Frida Kahlo. Museo Frida Kahlo aka La Casa Azul (The Blue House) is the childhood home and final resting place of Mexico’s most famous female artist. Visit to learn about her life, art and fabulous fashion. For more on Frida Kahlo’s blue abode, plus visitor tips, look out for an upcoming post on Duende! If you still have time, drop into the Leon Trotsky Museum, also in Coyocán and a short walk from Frida’s azure abode. Alternatively, make your way to nearby San Angel to see inside Museo Casa Estudio Diego Rivera and Frida Kahlo. There are three things you must experience (I think?! ): Ballet Folklorico de Mexico, Lucha Libre and Mariachi music. 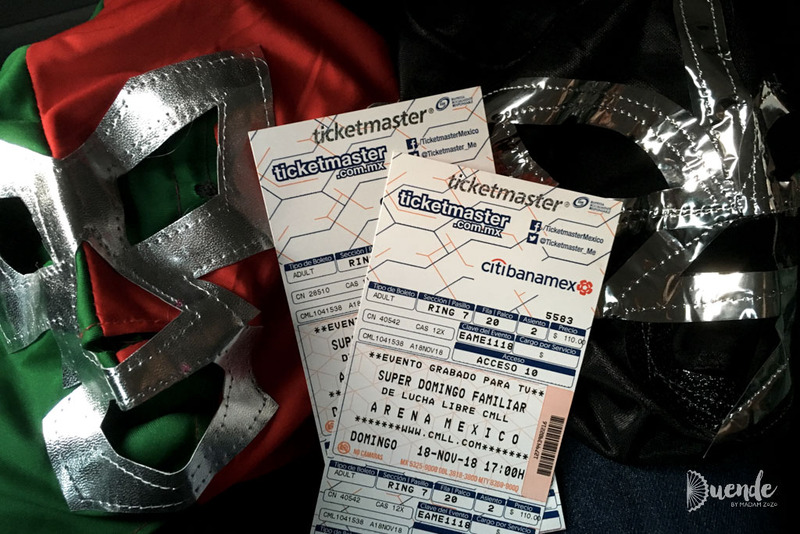 Unfortunately for us, we couldn’t get tickets for the Ballet Folklorico, a showcase of indigenous culture through song, dance and costume – our dates just didn’t line up. So don’t just take it from me, read the reviews on Tripadvisor. A good judge of whether you will like Lucha Libre is if you have a tolerance of WWE. I loathe it, my husband likes it – compromises are important in relationships. Plus, I believe in trying most things once especially in the name of cultural experience, so off I went. As to be expected, I wasn’t at all upset when the tall man sat in front of me a couple of matches in. I hear from fellow travellers that Lucha Libre improves with a few tequilas under your belt – keep that in mind. As a self-confessed musicophile, Garibaldi Square was something I was really looking forward to. We ate in one of the well-known Mariachi establishments, Salón Tenampa established 1925 (so it’s one of those places where every tourist goes but because it has genuine history). My problem was this… multiple Mariachi bands playing at the same time in the same space. It was like being in a washing machine of sound. At one point we had a band playing at our table while concurrently two other bands were playing at the tables either side of us. Oh, what a mess! In one sense you could say it was a reflection of the general chaos of Mexico, but there is only so much of the cacophony one can take. So disappointed! If you know of a better way to experience Mariachi in Mexico City, please drop us comment below and share with us. Please! Teotihuacan archaeological site is an ancient city that was revered by the Aztecs who found it abandoned. Little is known about its original builders and occupants including what they called themselves or the language they spoke. What is known comes from the analysis of their advanced city layout, artifacts found and murals uncovered around the site. Teotihuacan is most famous for it’s two giant pyramids, that of the Sun and the Moon. The Pyramid of the Sun is the third largest in the world. The complex officially opens at 9am and you want to be there right at opening time when the temperature is cooler and crowds are low. We investigated several ways to get out to the site, but in the end with only 3-days to spend Uber won out as being the most efficient. Depending on the time and day it will cost about USD20-25 each way plus tolls (roughly USD4 each way) – make sure you have cash to cover those. Take snacks, water, and plenty of sun protection. Palacio Nacional – The National Palace is built on a former Aztec palace and contains the office of the President of Mexico. Inside you can view magnificent architecture, a garden and nine Diego Rivera murals. Admission is free, but you will need to present your passport or government issued ID to enter. Museo Mural Diego Rivera – A museum built in 1986 to house Diego Rivera’s mural titled “Sueño de una tarde dominical en la Alameda Central” which translates to “Dream of a Sunday Afternoon in the Alameda Central.” The Museum hosts temporary exhibits of other Rivera works, and that of other artists. Entry is about MXN30 (USD1.50). Museo de Arte Popular – The Museum of Popular Art showcases fascinating folk art traditions of Mexico from alebrijes to piñatas. Entry is MXN60 (USD3.00). Museo Nacional de Arte – The National Museum of Art exhibits Mexican art from the later half of the 16th century through to 1954. General admission is MXN65.00 (USD3.25). Museo Franz Mayer – The Franz Mayer Museum is Latin America’s most expansive collection of decorative arts, that began as the private collection of stockbroker Franz Mayer. Entry is MXN50 (USD2.50). I think it’s nice to take a high-low approach to Mexican cuisine. While there is delicious food to be eaten at impossibly low prices on the street, there are also some top-notch chefs taking Mexican cuisine to new levels in higher-end restaurants. Keep in mind that eating at street vendors is more flexible, as most of the reputable restaurants will require a booking due to popularity, or expect to be put on a wait list if you decide to walk in. Taking our walking tour guide’s advice, we had a great USD6 dinner for two at the street vendors on Luis González Obregón. 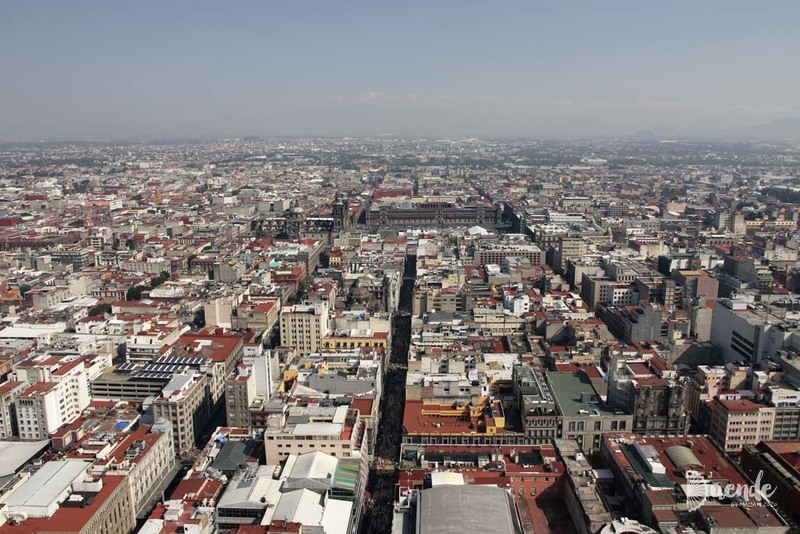 Find flights to Mexico City (MEX) with Skyscanner. Search for accommodation using Tripadvisor or Airbnb (we loved staying at Dirk’s stylish digs). 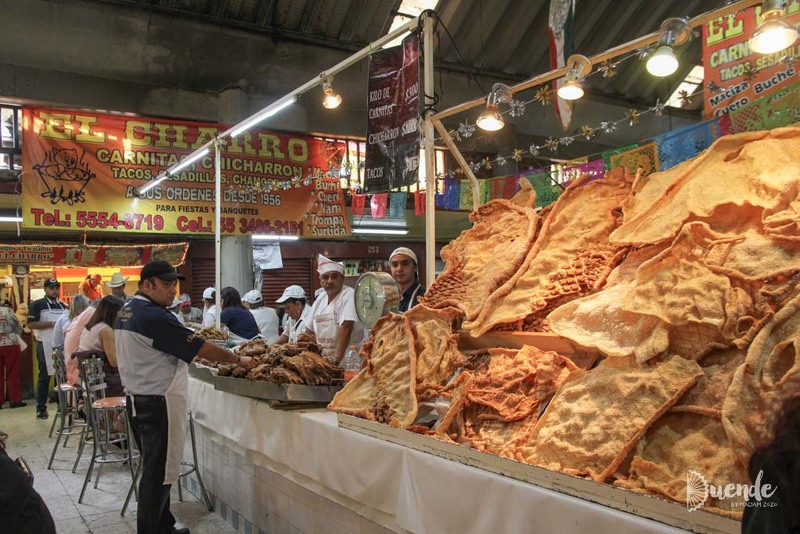 Let your 3-days in Mexico City whet your appetite for a return visit. Don’t attempt to do it all, because it isn’t all doable. Just remember that losing some of your taco filling is better than never having taken a bite.